Tablet computers are becoming more and more popular. To buy a tablet you can use almost any computer shop, however the variety of the presented models it is easy to get lost. Knowledge of the basic characteristics of the tablet will help to make the right choice. Choosing a tabletcomputer tion, you should submit, why is it you need, what tasks are you going to deal with it. Maybe you do better to buy a laptop or conventional desktop computer. But if you've decided that you need a tablet, decide how you will use it, he should be able to do. Taking into account the necessary features of the tablet, decide what amount you are willing to spend. It is easy to guess that the more expensive models have the best quality and advanced features. It is not necessary to buy the cheapest tablets cost 3-5 thousand rubles – as a rule, they have low quality screen, little memory, their work is accompanied by permanent failures in the operating system. Normally use such a tablet is almost impossible, you've wasted your money. Therefore, you should talk about the tablets cost about 15 thousand rubles and above. The flagship of this market, no doubt, are the iPad tablet from Apple. They are reliable, comfortable, economical, can solve a wide range of applications. At the same time, if you are used to work under Windows, then you may be better to look for a tablet with Windows 8 operating system. In this case, you will have access to a wide range of software, and master the work on the tablet will be much easier. In addition to the iOS (Apple products) and Windows widely distributed in the tablet operating system Android. Basically, this is a modified Google the Linux operating system. This is why Android will surely appeal to fans of Linux. An important advantage is that Android, like Linux, because its architecture is very resistant to viruses. Also for Android there is a huge variety of programs, so the tablets with this OS should be considered one of the most interesting and promising. When choosing a tablet, pay attention to the size and resolution of the screen. The larger the screen, the more work, the increased resolution improves image quality. 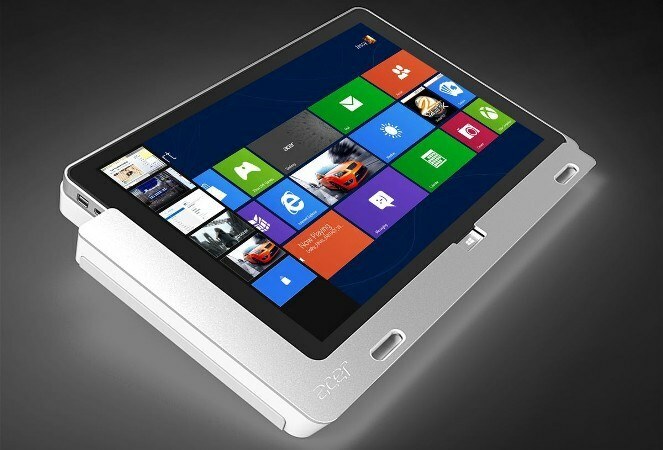 It is best to choose a tablet with a screen size of about 10 inches, it is quite easy to work and compact enough. Look for capacitive screen, not resistive. When working with capacitive enough of his light touch, resistive same needs to be pushed. The size of RAM and internal memory varies as the speed of the tablet, and the ability to store user data. As a rule, the tablets are equipped with RAM of 1 GB. As for internal memory, it is most often 4/8/16/32/64 GB. Pay attention to the presence of the necessary connectors and, in particular, USB. Some tablets are equipped with adapter: it is inserted into a special connector, and have him connect a USB device. This design is not very convenient. In addition, some tablets, usually made in China, it is difficult to insert the adapter in the USB flash drive as prevents the power cord. So when you buy take your time and carefully inspect the tablet, try to connect a USB flash drive. The tablet must have a minimum of two USB connectors. Many tablet PCs are equipped with a compact keyboard, this is a very useful addition. In any case, when buying a tablet PC, try to buy products of famous companies. The purchase must be made in specialized stores, this gives some assurance of the quality of the tablet and the possibility of its replacement or warranty repair in the detection of the fault.